Thermokil Ltd are the pioneers of modern techniques for the heat treatment of bedbugs, stored product insects, and ISPM15 heat treatment processes operating across the globe. Based in Cape Town, serving South Africa, Namibia,Botswana, Kenya, Uganda, Tanzania, Rwanda, Thermokil Africa provides ISPM15 kilns for the heat treatment of wooden pallets and packaging and also borer treatments and heat treatment of food processing equipmentin bakeries, confectionary factories and flour mills. Based in Valencia, serving Spain, Portugal Balearic islands, Canary island and South America, Thermokil Iberia provide heat treatment for insect control including control of bedbugs in hotels and holiday accomodation and also NIMP 15 / ISPM15 kilns for the heat treatment of pallets and packaging. Based in Nottinghamshire serving the whole of the UK including London and the home counties, Birmingham, Glasgow, Manchester, Liverpool, Leeds, Sheffield and Newcastle, Thermokil Insect control Services Ltd carries out heat treatments against bedbugs, insects in food premises both in its own name irect to the customer and as a sub contractor to third party pest control companies. Thermokil Pest Control Systems operate in the United Kingdom, South Africa, India, Australia, France, Spain, Cyprus, Malta, Eire, Israel, Dubai, New Zealand. See Contact Us for links to Thermokil operating companies. Heat treatment kits for use against stored product insects, bed bugs, empty silos and small buildings or rooms. Sub contract services and leasing of equipment for heat treatment to professional pest control companies for the control of insect infestations in mills, bakeries etc. Heat treatment training and advice services for pest control companies or directly to the food and flour milling industries. Supply of mobile kilns and kiln services for ISPM 15. Heater maintenance services for kilns. Heated gas chambers which dramatically reduce phosphine treatment times from weeks to days and allow PH3 funigations at low ambient temperatures throughout the year. No health & safety hazards from the process. Completely controllable and environmentally friendly. Kills all stages of insect life cycle. Reduced treatment time of fumigation (hours vs days). Cost effective insect control solutions. No factory shutdown or exclusion of staff from adjacent areas during treatment. "I would like to take this opportunity to say thankyou for all of your expertise, support, hard work and determination to get the job done. I know there have been many early starts and late nights for you both. I am grateful for your commitment to the job. From the inspections that Janet and I have carried out we have been very pleased with what we have seen. I have no doubt that we will be in touch again in the near future and I will have no hesitation in recommending you/your company if asked." We know that the bed bugs were brought into our home from our daughter giving a college friend an embrace, this friends father is an engineer who travels a lot and picked up bed bugs from one of the hotels he was staying in. A simple act of friendship that caused us nightmares. The bug infestation came to our notice when our daughter started to complain of small red bite marks all over her body, it was not long before they were in our bedroom. As light sleepers we could feel them crawling over our skins at night. The two gentlemen who came to our house were from the start professional and courteous. The job they did was not just a superficial skim over the rooms, they did everything, beds, furniture, carpets and when they had finished the heat treatment they treated the carpets to ensure full and lasting treatment, the word lasting sums up the bug treatment your company gives. We have had not one, not a sign of bed bugs, I send this to you after more than nine months have passed, nine months without any problems. We developed a bed bug problem after having some visitors to stay and looked around for solutions. We chose Thermokil based on our conversations with Ryan Overton as to the process to be followed and after comparing prices and the levels of service offered. Ryan was great to work with and did everything that had been promised. Although it was a day's hard work preparing the rooms for treatment and then reinstating the rooms the results made it worthwhile. Ryan was very thorough and checked the house for other possible signs of infestation as part of the process. A follow up visit was included in the price but turned out to be unnecessary since the problem had been completely resolved. 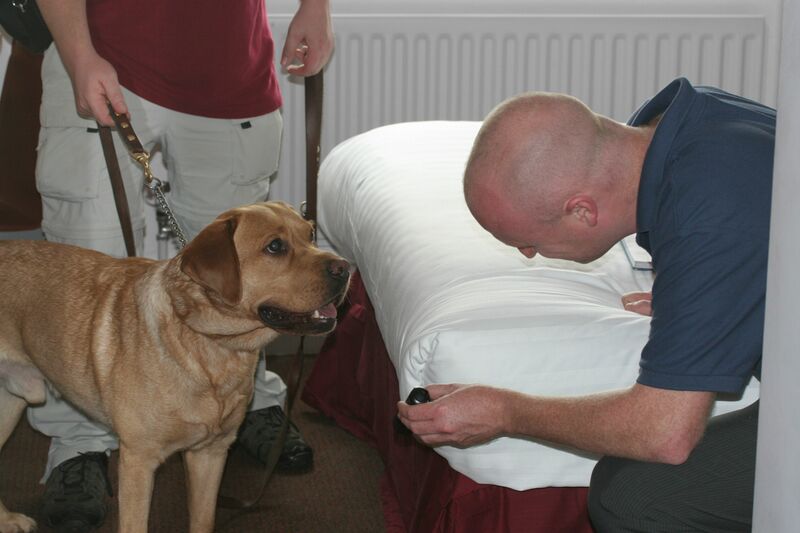 The treatment was exactly as described and Ryan cleaned up well after his visit. I think the service that you have given us from start to finish has been great, right from the moment I called you, I was reassured and offered good advice and tips. The treatment and follow up visit has given me and Liam great peace of mind and I now can sleep soundly which was greatly missed. You and your team are extremely helpful and whenever I contact you, you always respond promptly. We brought bed bugs back from a holiday and I had already rang a local pest control company to come and spray our house. After adding so many horror stories on the Internet of people not being able to get rid even after pesticides were used, I began to panic. I did some research and read about 'heat treatments' I contacted Ryan at Thermokill. I was enquiring about having a house treatment if our pesticide treatment didn't work. Ryan was so friendly and helpful, he advised me to bare with the process I was going through as it should work. He asked which company I was using, and he then contacted the guy that was treating our house and said they would work together to get my house bug free. There was no charge for Ryan's help and advice, and I can't tell you how many emails and phone calls I made to him. Ryan was always there with advice, and he stayed in contact with the guy who was treating my house. He sent me some bug monitors in the post (no charge) so I could see if there were any bugs left. I think we are winning our battle and hopefully coming through the other side. I would recommend Thermokill and definitely the services of Ryan Overton. He helped me through so many bad times. He was so kind, caring and helpful and Very knowledgable. Like I say I had no charge from him and lots of help and advice. Thank you so much Ryan! We hope we have won our battle and not need the services of Thermokill.but I would not hesitate to pick up the phone if I did. Thermokil Africa now have their first ISPM15 heat treatment containers up and running - although there are elements in the country who stll think South Africa will be able to still use the ozone depleting gas methyl bromide, we think the rest of the world will not agree ! 05/12/13 - RIP Nelson Mandela 1918 - 2013. 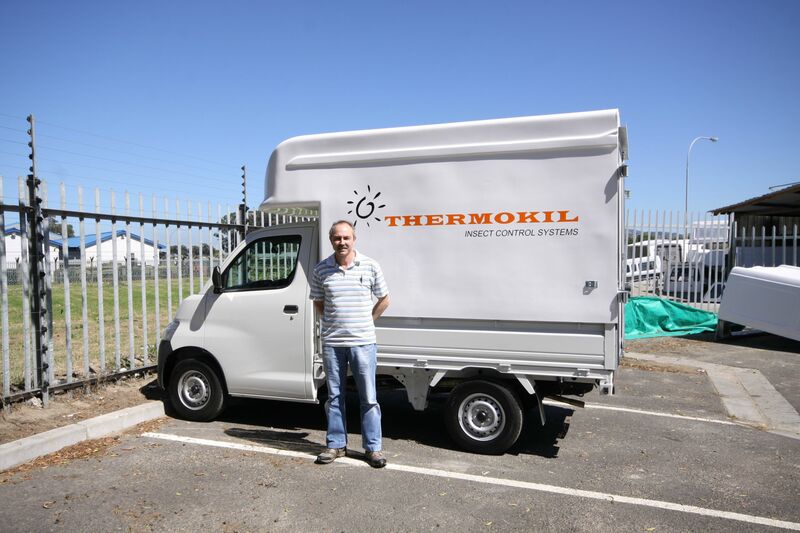 01/11/13 - Finally we have Thermokil Africa PTY Ltd up and running under MD Johan Fouries. A successful trip in November by Thermokil MD David Hammond saw training of Johan and Andy Enslin together with other staff. They met with members of the South African Ministry of Agriculture in Pretoria and the UK Vice Consul in Cape Town to make sure South African Industry is fully prepared for the demise of methyl bromide there at the end of 2014. 01/10/13 - Thermokil Iberia have now been set up as our partners covering the Iberia region of Spain, Portugal and the Balearic and Canary Islands. Managing Director Joao Machado has worked with Thermokil Ltd for many years now and we are confident of every success in developing heat treatment services in Spain and Portugal. 01/07/13 - Thermokil in Afghanistan - In Spring 2013 Kellogg brown and Root Ltd installed a Thermokil kiln conversion at Camp Bastion in Afghanistan to enable the heat treatment of pallets for ISPM 15 for the forthcoming return of British and Commonwealth troops and equipment. Managing Director David Hammond and Forestry Commission auditor Gavin Fry completed the successful commissioning and accreditation of the ISPM 15 facility in the spring of 2013 at Camp Bastion. For those who think some UK companies health and safety briefings a little too fastidious, the Camp Bastion briefing starts with "In the event of rocket attack, don ballistic armour and helmet and lay down by a blast wall ……" I have to say, the professionalism and good humour of KBR staff was amazing, the food fantastic and the toilets spotless, and, slightly reminiscent of the film "Apocalypse now" we fell asleep to the noise of constant 24hr helicopter operations, gun fire from the ranges and the certain knowledge of being safe in the hands of 10,000 heavily armed body guards! I have to say I found it all rather soothing despite living in normal life in a quiet village where a car driving by in the night is noisy. 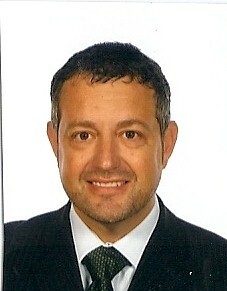 01/01/13 - We are pleased to announce that Ryan Overton has been appointed a Director of Thermokil Insect Control Services Ltd.